At the opening session, Prof. Dr. <?xml:namespace prefix = st1 ns = "urn:schemas-microsoft-com:office:smarttags" />Cao Min gave a brief introduction to members of the expert committee. 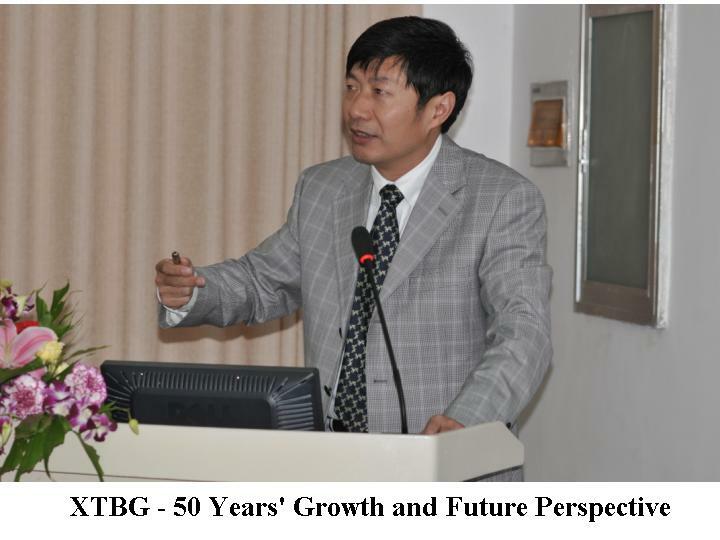 Prof. Dr. Chen Jin, director of XTBG, made a report with the title of “XTBG – 50 Years’ Growth and Future Perspective”. 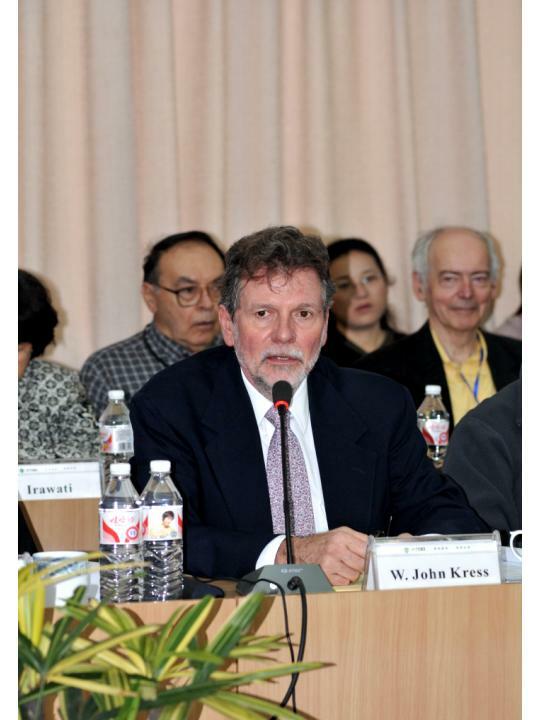 After listening to the report, the international colleagues, with Prof. Dr. John Kress as chairman of the expert committee, discussed XTBG’s administration, infrastructure construction, team building, scientific facilities and research arrangement. 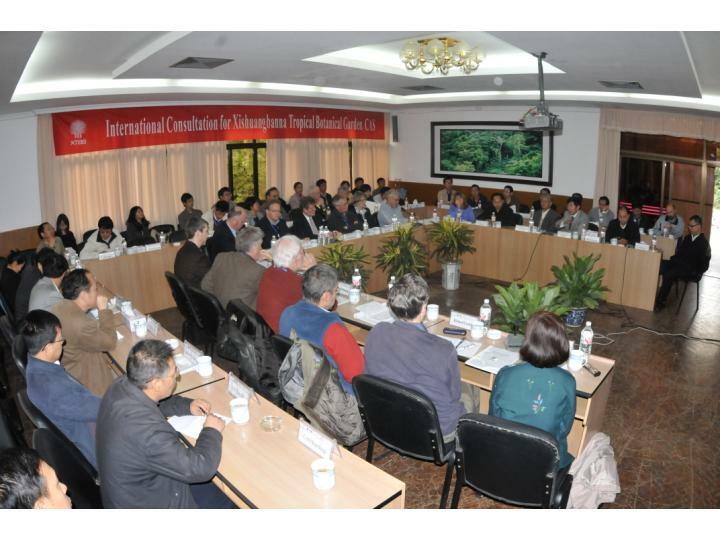 The experts put forward reasonable suggestions on XTBG’s future development. Having known about achievements made by XTBG over the past decades, the experts expressed their heartfelt praise and were full of confidence with its bright future. The expert committee will provide a written analysis report later. 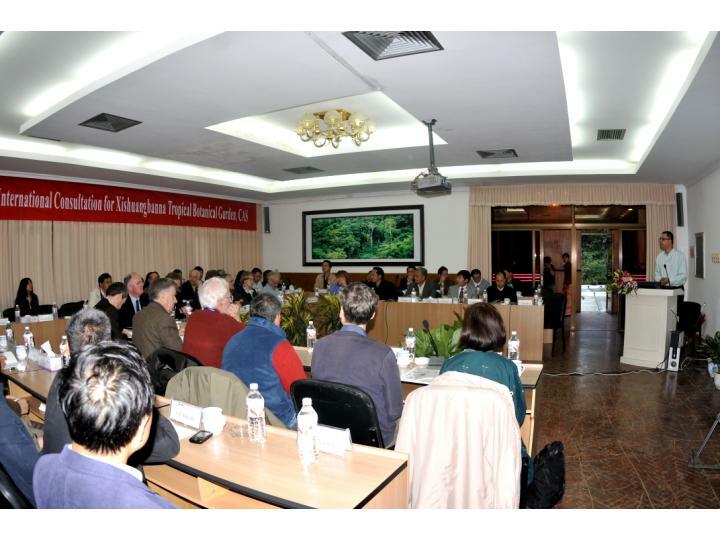 As an observer, Prof. Guan Zhongcheng from Center for Evaluation on CAS institutions attended the meeting. Attendees also included XTBG administrators, professors, and heads of functional departments.